The joy of the late eighties came alive with a simple handheld video game device known as the Nintendo Game Boy. The 3.5” by 5.8” frame made the device the first handheld console in the Nintendo lineup resulting in a cult-like following and a wildly popular product for the video game company. A few decades later, and many new product releases, an engineering nerd with a dream, threw it back to the original game set. Ben Heck from the popular YouTube channel, The Ben Heck Show, debuted a supersized console. His larger-than-a-golden-doodle creation comes in at 2’ x 3’. The entire exterior and interior were shaped and customized using Sintra PVC board. Sintra board is a widely used and versatile material that is lightweight yet rigid and durable – perfect for a replica of nineties nostalgia. 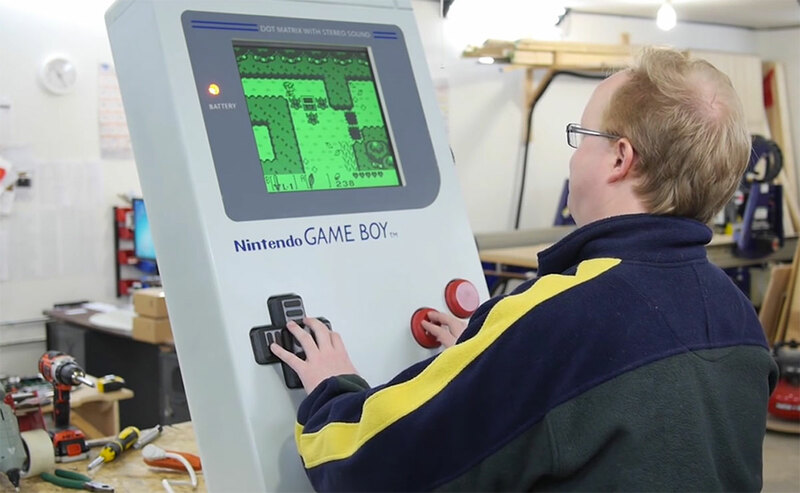 The material used for the Game Boy was 6mm or a quarter inch thick and up and cut using a router to create the front piece, while a hand router was used to round the edges. 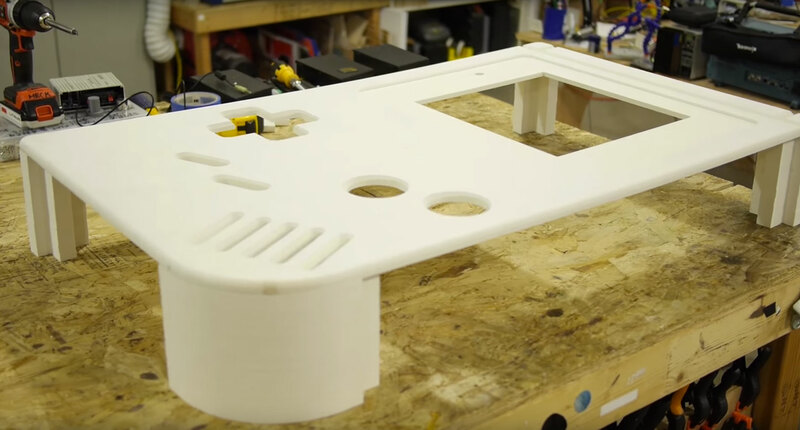 Ben Heck needed to deconstruct the internal machinery of the original game console in order to create a fully working supersized version. 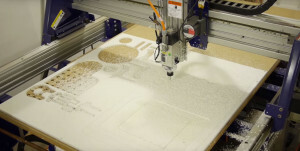 In the video currently at 99,898 views (his most popular video yet) and counting, he goes into detail about how he creates a completely functioning replica using an integrated circuit method. The screen is even given the putrid green color to resemble the same color emitted from the original Game Boy. Sintra board was chosen to keep the construction as light as possible. The whole project took a total of four days to complete. It is easy to see why Ben Heck’s Giant Game Boy video is so compelling to watch on YouTube, he is wildly passionate about each and every detail of the process. At one point he comments about missing the word “power” in the top right corner when asked what improvements he would make if given more time. Every other detail including the Nintendo Game Boy graphics has been given acute attention. Even the game’s buttons are made from lightweight Sintra PVC board and spray painted to the appropriate red “A/B” button colors. At the end of the project Ben more aptly renames the new, larger version – Game Man.